Imagine you’re playing Train Simulator. Perhaps you’re funnelling your passengers along the Vogelfluglinie from Hamburg, right on time to arrive smartly at Lübeck. Or you’re speeding down the Ligne Grande Vitesse to Avignon in a TGV Duplex, a streak of colour in the French countryside. Related: upcoming PC games of 2017. Now step back. Are you playing the train, or its driver? It’s a subtle distinction, but one that distinguishes the new Train Sim World from previous iterations. To understand why that’s important, you need to understand Train Sim’s audience. For a significant subset of Dovetail’s players, driving the trains is only a part of the appeal. In previous versions, some liked to park an engine in a siding – somewhere stationary to get a trackside view of the other trains rolling past. It’s not hard to see the appeal of hopping into a box car like a Hollywood runaway and letting Train Sim’s driver AI carry you far away. 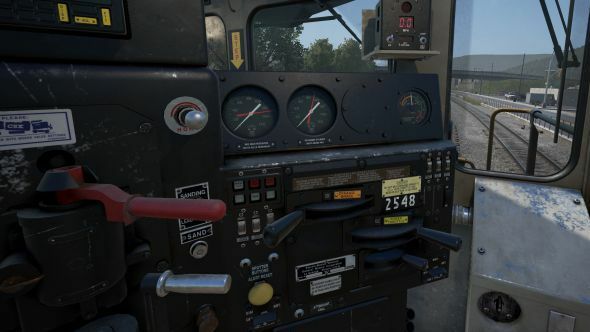 What’s more, looking up in first-person at the heavy haul engines of Train Sim World’s first release offers a new sense of scale. Jump aboard those machines and you’ll find that Dovetail’s trains have been rebuilt – and not just superficially. 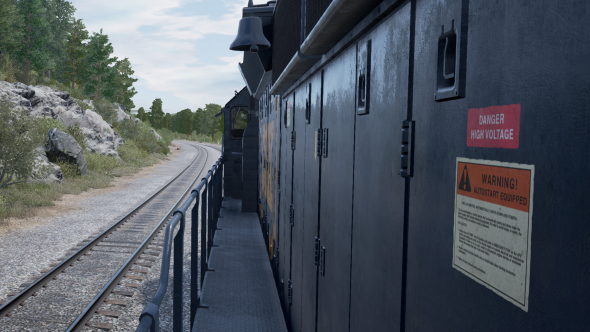 The studio have scrapped their existing physics system, instead working with experts in the locomotive industry and poring over their own research to come up with a new system. In the legacy game, each train was a customised version of one of six different models. But now Dovetail can assemble their behemoths from their core component parts – dragging and dropping a fuel tank, say, or a diesel engine or a traction motor, from the tool palette and into place. Then they can draw lines between those parts to signify traction, or electrical power. It’s less game design than engineering. “What you’re doing is recreating the actual way the locomotive is built in reality,” notes a proud Peddlesden. Out of that, Train Sim players get emergent behaviours – mechanical quirks and details that Dovetail no longer have to go out of their way to simulate. For instance: diesel engines rely on devices called fluid couplings to get everything turning. And the moment you start one up – in the simulation and in reality – the train’s RPM dips as fluid enters that coupling. “You see the gauge needles drop, the sound changes – and we don’t have to code that, because the system does that inherently for us,” says Peddlesden. You don’t have to know the ins and outs of locomotion to appreciate the effects. As those details multiply out across countless components and electrical systems, Train Sim World mimicking a host of different behaviours, the engines seem to breathe with new life. “It’s what turns it from being a train game into something that’s authentically a train simulator,” Peddlesden believes. 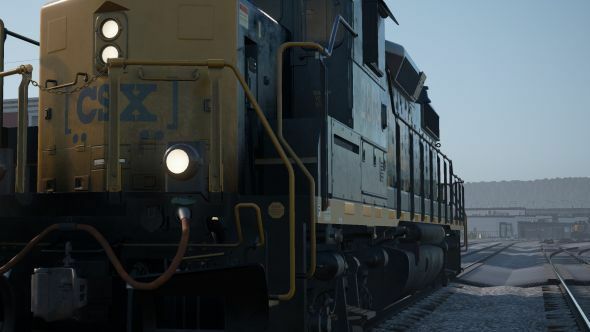 Unreal 4’s source code access has allowed Dovetail to extended the engine’s toolkit in a “very train-specific way”, and the studio plan to give their community access to creation tools on a par with their own. As with the physics, Dovetail have worked with railway engineers to redevelop their signalling system so that it functions as its real-world equivalent does. “I’m confident that we’ve got something that we can build on now for quite some time and keep being fresh and new for people,” says Peddlesden. That future-proofing is important: there are 310 add-ons available on Steam for Train Sim 2017, and similar expansion of routes and models will inevitably come to the new engine. But Peddlesden’s confidence seems well-founded. Take the endorsement of real railway engineers – one of Train Sim World’s earliest groups of testers. Dovetail provided the engineers with a document full of instructions to get them started. But one tester accidentally skipped that document, managing to get his train up and running anyway by downloading the real operator’s manual for a four-axle diesel-electric locomotive and following that instead. “That was really good validation,” says Peddlesden. 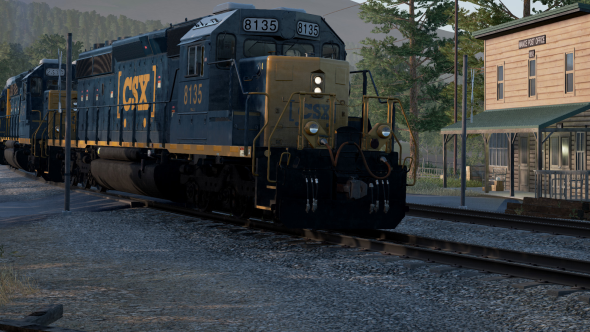 Train Sim World is now in beta ahead of its launch in early 2017. Unreal Engine 4 is now free. In this sponsored series, we’re looking at how game developers are taking advantage of Unreal Engine 4 to create a new generation of PC games. With thanks to Epic Games and Dovetail Games.